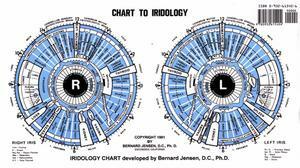 The Science of Iridology involves examining the IRIS of the EYE providing information about a patient's systemic and overall health. An economical method to detect and address health issues at an early stage: pain, inflammation, toxicity. We use a camera for still pictures as well a video of the iris. *The statements made have not been evaluated by the Food and Drug Administration (FDA) nor is intended to diagnose, treat, cure or prevent any disease. For medical conditions consult your doctor/physician. A.C.W.B., Inc are Vendors for this event! Contact A.C.W.B., Inc. for details! Click here for SwissJust Product Specials! Ways To Support A.C.W.B., Inc. Please $upport the Afrikan Center of Well Being, Incorporated (A.C.W.B., Inc.) whenever you shop on Amazon click smile.amazon.com/ch/76-0428628 "Asante Sana (Thank You Very Much!)" Limited Time Offer: $0.99 Domains at Network Solutions!